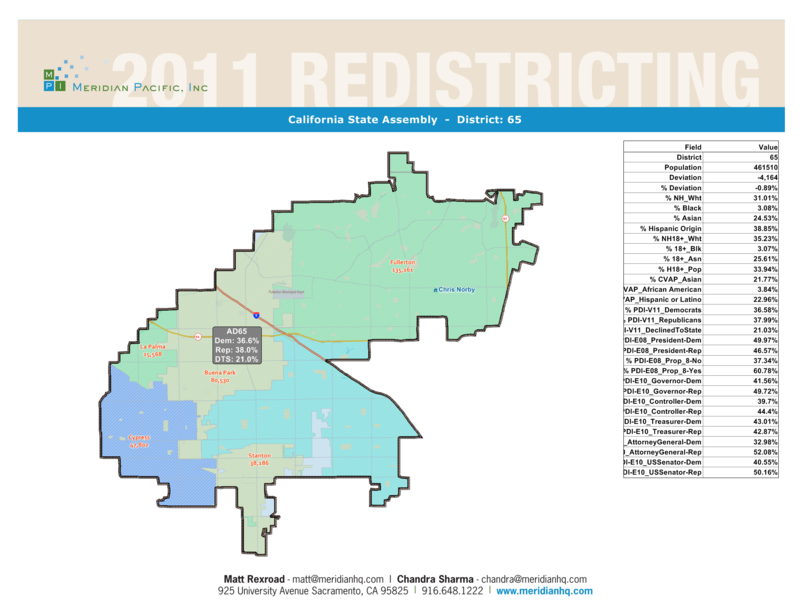 This entry was posted on August 30, 2012 at 10:42 AM	and is filed under 46th Congressional District, 65th Assembly District, Santa Ana. Tagged: Chris Norby, David Benavides, Doug Chaffee, John Perez, Loretta Sanchez, Lorri Galloway, Michele Martinez, Proposition 30, Ralph Rodriguez, Sal Tinajero, Sharon Quirk-Silva, Steve Sarkis, Steve Shanahan, Vince Sarmiento. You can follow any responses to this entry through the RSS 2.0 feed. You can leave a response, or trackback from your own site. Oh, Chris — you are (presumably) better than this. Please, don’t play the fool. Wow, candidates campaigning outside of their district — to people from whom they might be able to raise funds to campaign in their districts. “Inconceivable!” is, I think, the way Wallace Shawn put it in The Princess Bride. For what it’s worth, I’ll address some of your misconceptions. Sharon is sharing a campaign office with Loretta in west Anaheim, where their districts (and mine, it so happens) overlap. She’s also sharing an office with Jay Chen and me (she and I both subletting from the Democrats of North Orange County club) in Fullerton. Nothing sinister there. The Democratic Leadership is not “abandoning Quirk-Silva,” much as it may please you to spread that rumor. The four Assembly races that they identified are, if memory serves, the four closest in the state. It’s no surprise that they choose them first. But (as you know, and as you would presumably like people to know that you know, making me wonder why you’re pretending otherwise) the parties monitor elections well past Labor Day and are prepared to dump in a ton of money when a goos opportunity arises. Sharon’s race (and Norby’s, um, stability) will be under constant scrutiny from here on out. Aside from the odd speculation about her running in a district where she doesn’t live (and where those four Council members who endorsed her, all potential candidates, do) based on a fundraising trip down there, your insinuation that she may have stopped campaigning in AD-65 is laughable. (Huh?) Save us all some trouble and just admit that, please, so that I don’t have to come back here with proof. I know that Sharon has also been campaigning hard in Buena Park, Fullerton, and I think it was La Palma; I’m sure that Cypress and Stanton are on her list as well. And, you’re right — none of them are in CD-46 — which is just more evidence that the premise of this post is bogus. I know that having the ability to block an Assembly supermajority hanging by the hairs on Chris Norby’s head must be uncomfortable for the state’s Republican Party (to the extent that it still exists), so I fully understand why you would want to wish Sharon’s challenge to Norby away. Sadly for you, it’s not going to happen. She’s a great candidate — and with the more Democratic Presidential electorate, she has a serious chance. Hanging out with a Sanchez sister (or two) to raise money is only going to help. Too bad that the Republicans in the area are at each others’ throats, isn’t it? I read this and saw that there was only “1” comment, I bet my secretary it was by a guy named Greg Diamond, Democratic Defender extraordinaire. Maybe the reason Sharon is campaigning in Santa Ana is because they know her record (or lack thereof) in North OC. Other than suggesting that homeless people need socks, I can’t think of a single noteworthy thing she’s done or said. I know she thinks it’s “OUR” responsibility to feed children of school age breakfast and lunch, year-round, but I have yet to see her articulate anything she stands for. 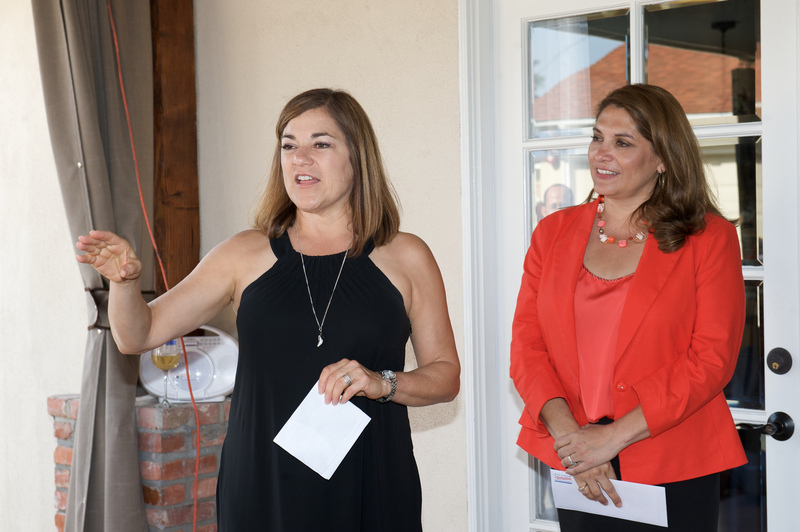 As for the Santa Ana city council who supported her, she should be running as fast as she can from at least one of them, as he is following the footsteps of his colleague Carlos Bustamante, in a scandal to be reckoned with. You probably intended to insult me, but I’m sort of flattered that you predicted that it was me setting the record straight. According to this article, Sharon campaigned in Santa Ana — once. Apparently, to raise money. That is OK, right? She’s doing by far — BYYYYYY FAAAAAARRRRR — most of her campaigning in North OC. From what I hear, her people are working like hell and she’s getting a great response. Now why isn’t Norby out in West Anaheim explaining to voters why they shouldn’t receive government services? As I just noted in FFFF, one thing that she stands for — and that Norby went out his way to disparage — is defending Title IX and its effects on girls’ and women’s athletics. I love how charges like those in the last paragraph are so often made anonymously.